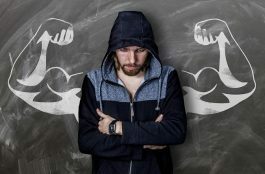 So you want to build muscle. That’s great! Increased lean muscle mass provides a host of benefits, including a healthy metabolism, greater strength and the confidence instilled by looking and feeling strong. But what about body fat, that pesky barrier to attaining a ripped physique? In an ideal world, you could have one – muscle – without the other – fat. 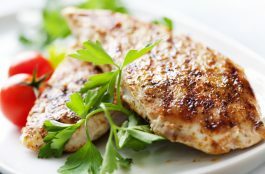 To gain muscle requires increasing caloric intake, and if those calories end up being converted to fat – well, a frustrating setback may ensue. But fear not: you’re about to learn the right way to pack on muscle, without the flab. Let’s start by defining a couple of terms. Bulking refers to eating and training with the goal of building muscle. Cutting refers to eating and training with the goal of losing fat while maintaining lean muscle mass. The best result when bulking means gaining lean mass and minimizing incidental fat gain. Conversely, the best result when cutting means losing body fat and retaining as much hard-earned muscle as possible. Unfortunately, many fall into the repetitive cycle of getting nowhere fast, achieving exactly the opposite of what they desire. So – should you bulk first? After all, gaining muscle matters, right? But – what if you don’t cut first? Then you’ll have that dastardly fat hanging on to you! Or should you bulk and cut at the same time? It depends. There are a number of obvious factors – what you eat and how you train – that will help determine your outcome, but here is the one of foremost importance: What’s your current body fat percentage? The higher it is, the greater the likelihood someone will store the extra calories consumed during a bulking phase as more fat, through a process called “caloric partitioning”. That’s right: the greater your adiposity, the harder the process of bulking for optimal results becomes, and the longer remedial cutting efforts – “tidying up” – have to last. That’s why – despite the higher metabolic, and therefore, calorie-burning potential of muscle – the way adiposity determines caloric partitioning means that consuming a surplus of calories to bulk up when already overweight is to walk an almost certain path to failure. Ideally, you’ll want to start bulking when you are lean, or at least, leaner than not. Now, “lean”, in this case, does not require (though it’s certainly allowable) that you have a super-low, single-digit body fat percentage or abs you could grate a potato on. Men, before embarking on a bulking phase should generally have 10 to 13 percent body fat, or a bit less; women should generally have between 19 and 23 percent body fat, or a bit less. If levels of body fat are somewhat higher, decent results can still be obtained, but likely not of the same caliber as would be the case for a leaner person. “Yeah, but just how fat (or not) am I”? The truth is that most of us don’t actually know our real body fat percentage. One can certainly invest in calipers, body fat scales and calculators – but I suggest keeping things simple: Get naked; take a good look at yourself in the mirror; and ask yourself if building muscle or losing fat makes more sense right now. Be objective. Are you reasonably lean and ready to bulk up? Or are you carrying some extra weight that screams, “Don’t eat more! Lose weight first!”? Unless your current goal is to become even leaner, it’s the right time to begin bulking, with the goal of putting on muscle mass. If you foresee the need or desire to become extra-shredded in the future, it’s not a bad idea bulk up first, and follow up with a careful cutting phase, to define your increased muscularity. If that’s where you’re at, refrain from bulking in an attempt to offset your body fat with muscle. The best thing to do is start cutting until your adiposity decreases sufficiently and you can objectively state that you are at least reasonably lean. When you reach this point, your caloric intake can be increased to the surplus-level. Bear in mind, strength training should not be stopped until you are ready to bulk. Continuing to lift will assist the process of fat-burning and help retain the muscle and strength you already possess. As you’ve now learned, frustration can be avoided by simply understanding which actions should first be undertaken.